It is funny that some of my favorite dishes are created when I am trying to clean out either my refrigerator or my cabinet. This time I needed space in my refrigerator to prepare for Thanksgiving. What needed to go? half a cauliflower, half a bag of baby greens, and some chicken fingers that Cam and I created a couple of nights ago. As I have said before, we love combining pan-seared cauliflower with pasta. 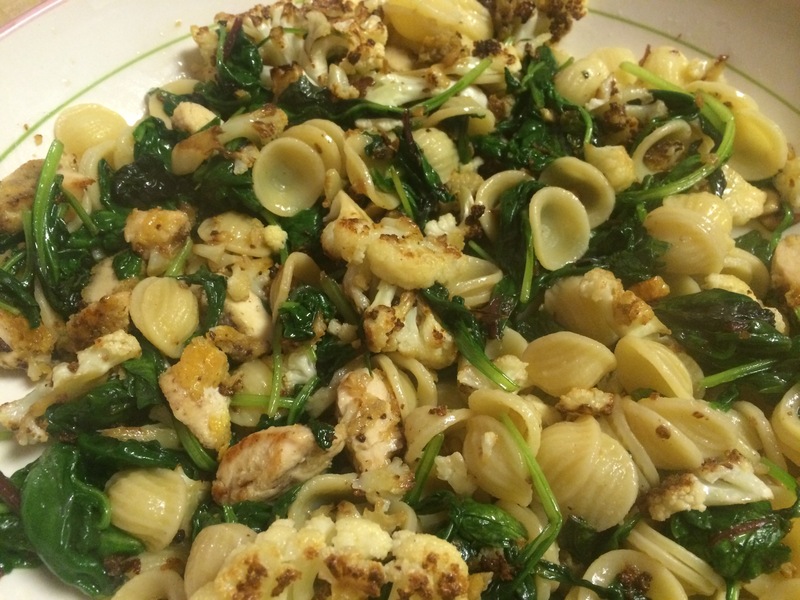 Cam selected orecchiette for tonight, and although I initially questioned my 5-year old’s pasta selection, the bite of the orecchiette was perfect for the combined textures of the cauliflower, chicken and greens. 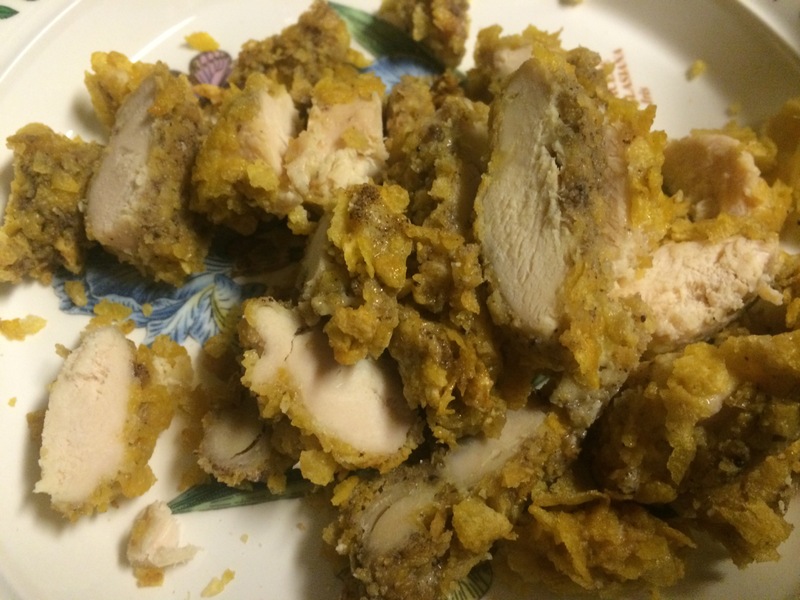 So I was expecting the dish to be decent, a one-time combination that we would enjoy. I am glad I decided to take pictures because what we got instead was a dish I will readily make again and again. Bring a large pot of salted water to boil. Cook pasta according to package directions, set aside. In a large skillet, heat 1 Tbsp oil over medium high heat. Working in batches of an amount of cauliflower that will fit in 1 layer in the pan, cook the cauliflower and garlic on one side until the cauliflower is nicely browned (about 4 – 5 minutes). Season with a little salt. Flip the cauliflower and garlic and cook on the other side until browned about another 3 minutes. You may need to add more oil with each batch. Cooking time will vary with each successive batch. 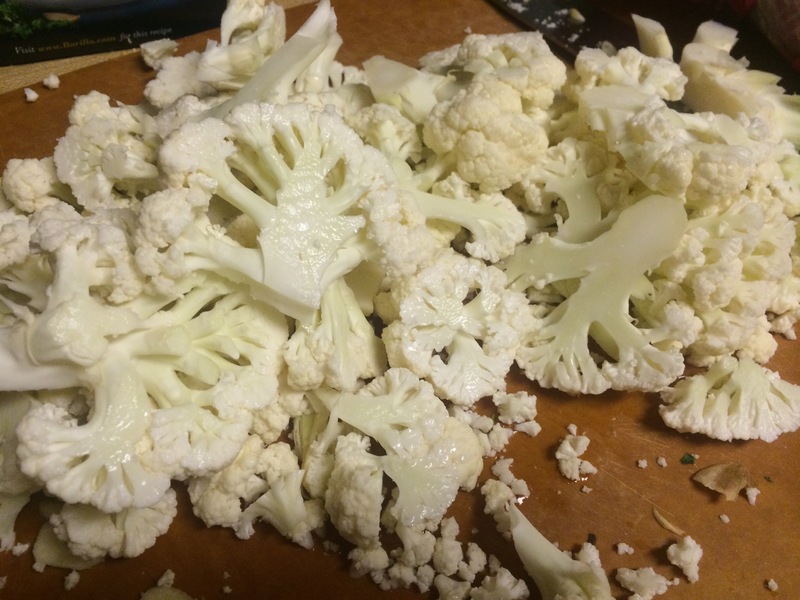 The smaller pieces of cauliflower will cook more quickly ad may require more stirring rather than 1 flip. Remove to a large bowl. Add 1 Tbsp oil to the skillet and cook the chicken until crisped (if using leftovers) or until cooked through if using raw chicken. Add to bowl. Add 1 Tbsp oil to the skillet. Add the greens and season with a little salt. Cook, tossing, until wilted, about 2 minutes. Add the greens and the pasta to the bowl and toss well. Adjust the seasoning if necessary, serve and enjoy! Serves 4.